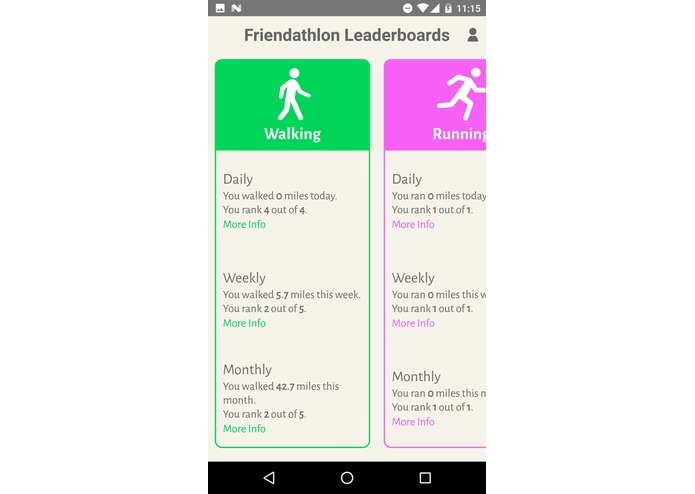 Friendathlon is a next-generation fitness app that puts you head to head with all your friends. Unlike existing fitness apps that primarily focus on personal growth and are catered towards professional athletes, Friendathlon is developed just for people like you and I who are trying to make their everyday lives healthier and looking for a bit of extra motivation to go on that run, walk more, take a bike ride, you name it. 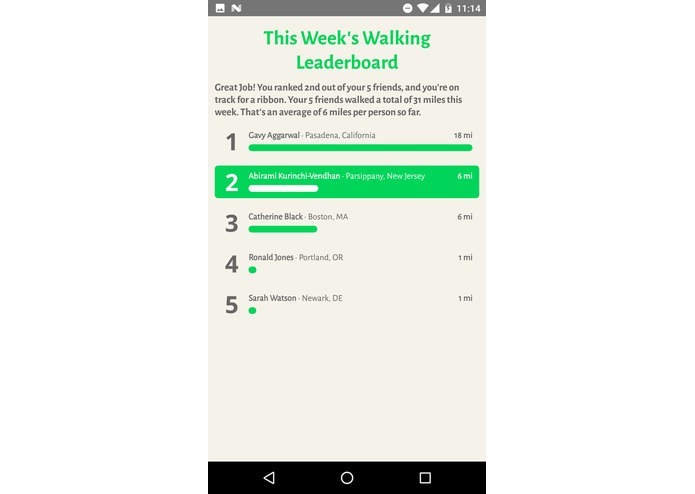 Friendathlon throws you and your friends amongst each other in leaderboards that show how much you've walked, ran, and biked so that you remain motivated (or ashamed) into beating them and staying fit. By being stacked up against your friends, we sweeten the deal. You don't just go outside and get moving to stay fit, but also to earn bragging rights. And to make sure the competition keeps going, we send contextual reminders and updates on your friends' activities so you can keep ahead and stay at the top of the leaderboards. Easy Sign Up: People have neither the time to make logins nor the memory to remember them. 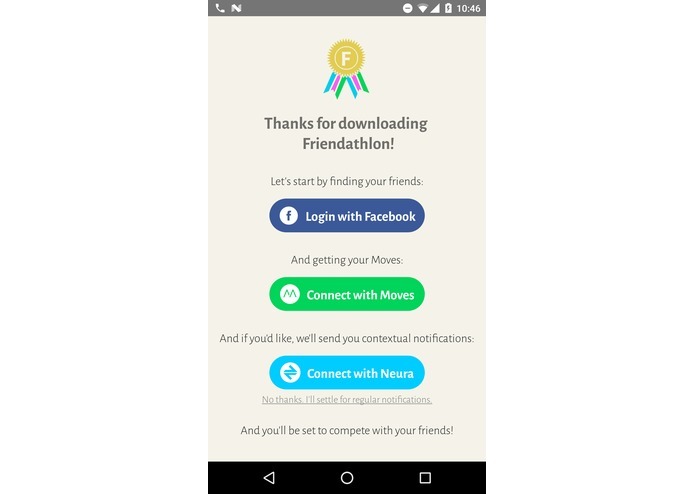 Getting started with Friendathlon is quick and easy. Connect with Facebook. Connect with Moves. You're done! 10 seconds! No need to give an email. No need to enter in your weight. No need for frustrations. Automatic Workout Tracking: Isn't it annoying to manually "start" a run? Then what happens if you take a break and forget to "pause" your workout? Your final results become inaccurate. What about the times you forget to record your workout altogether and have nothing to show for it afterward? Now, that's all in the past. 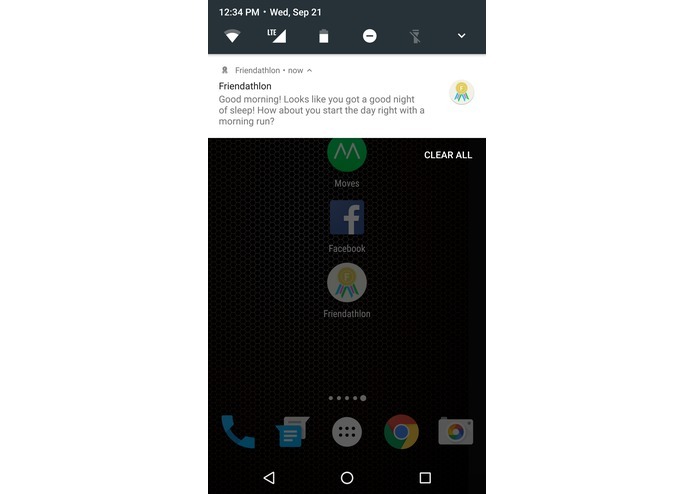 Friendathlon is always running and keeps track of everything, so you don't have to worry as long as your phone is on you. Multiple Activities: Most people have a pedometer app for walking, a workout app for running, and a GPS app for cycling. Friendathlon does away with all that. We reduce all the clutter by showing everything in one app that behaves as a dashboard for many types of physical activity. Motivational Reminders: We know how few people stick to their New Year's Resolutions. It's hard sticking to a workout regime. 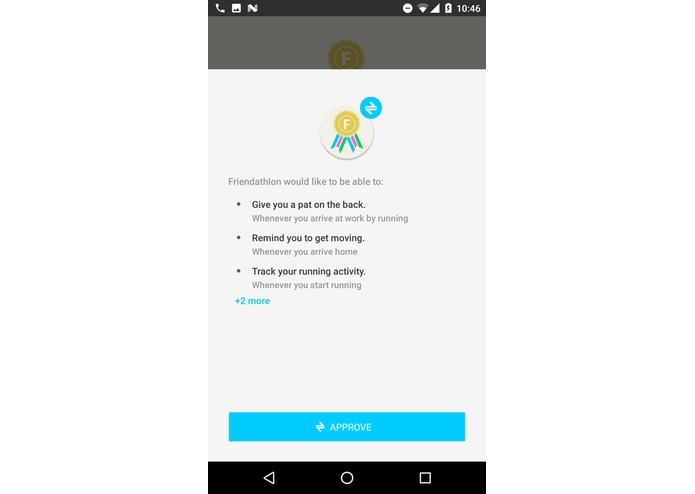 Doing it with friends will make it easier for people to stay in shape, but Friendathlon gives an extra helping hand by sending users motivational notifications. But these aren't just your run-of-the-mill, canned notifications. 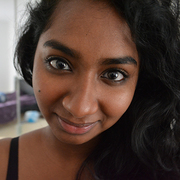 When a user wakes up after a good night’s sleep, we send her a notification reminding her to go for a bike ride today. 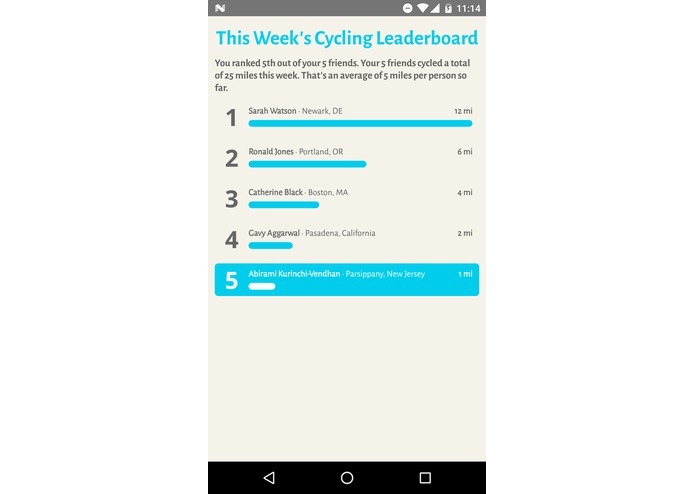 Or if she's returning from a run, we update her leaderboard and let her know how many friends she’s now in front of. But instead, if she's just sitting around at home, we tell her to get off the couch and partake in her favorite activity. And finally, when she’s in bed and ready to call it a day, we give her a summary of her progress and how she stacks up against her friends. Code Refinement: We built this app as a hackathon in two weeks (and with very little sleep), so naturally, we had to take shortcuts to deliver it on time and some of the things we did were pretty "hacky". We want to go back into the codebase and make optimizations, refactor our code, write unit tests, perform comprehensive error checking, and conduct a security analysis so that our app will be more stable and reliable. iOS Support: The majority of our codebase is sharable between Android and iOS, and we plan on writing a separate version for what isn't sharable by the end of this year, so our app will run on both Android phones and iPhones. This is an important goal to reach before our initial release as we'd be missing out on a sizable proportion of our target audience by not supporting iOS. Marketing: We plan on building a marketing and support website for Friendathlon and starting a marketing campaign to promote our app and increase awareness. 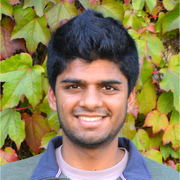 Hopefully, we'll do well in this hackathon and be able to afford advertising on YouTube and social media.